Artist's rendering of the destruction and mayhem visited on a Hawaiian compound during the Hawai'i hurricane of 1871. On August 9, 1871, a major hurricane struck the Islands of Hawaiʻi and Maui, causing widespread destruction from Hilo to Lahaina. 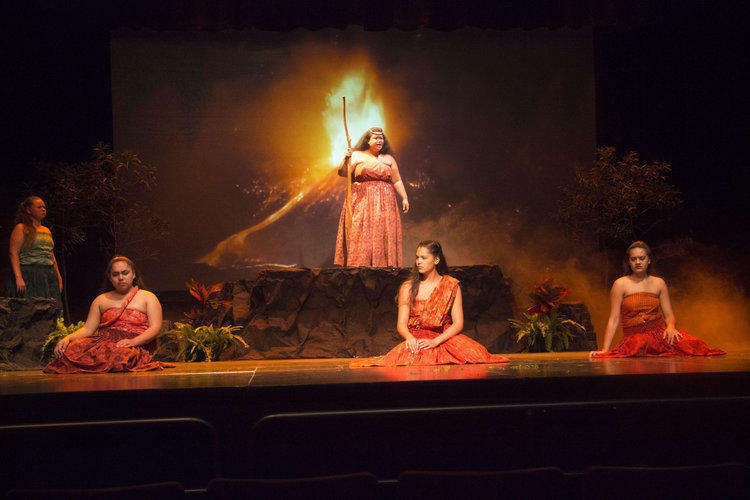 Eyewitness accounts were sent in from Waipiʻo, Kohala, Hāna, and Wailuku, and were published in Hawaiian language newspapers. 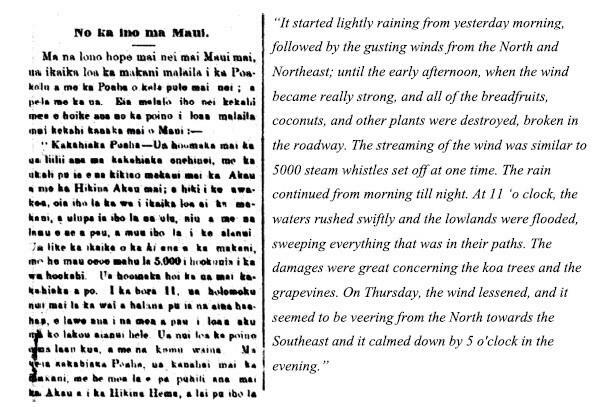 Excerpt from the Hawaiian language newspaper Ke Au 'Oko'a published on August 24, 1871, with English translation. 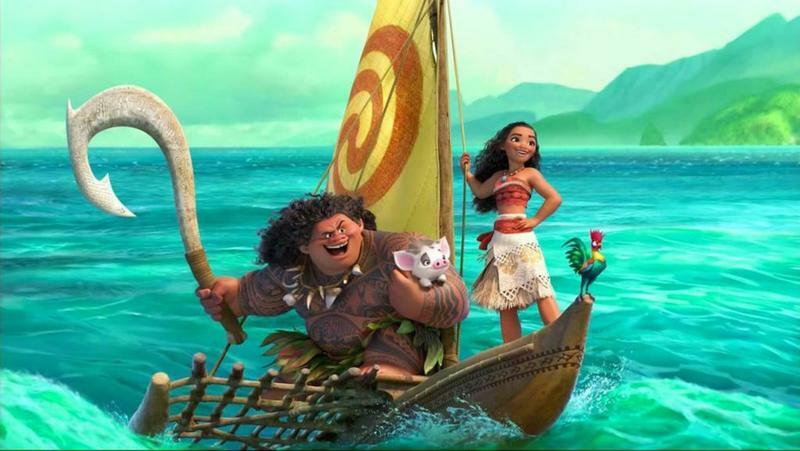 Nogelmeier is the director of the University of Hawaiʻi Institute of Hawaiian Language Research & Translation. 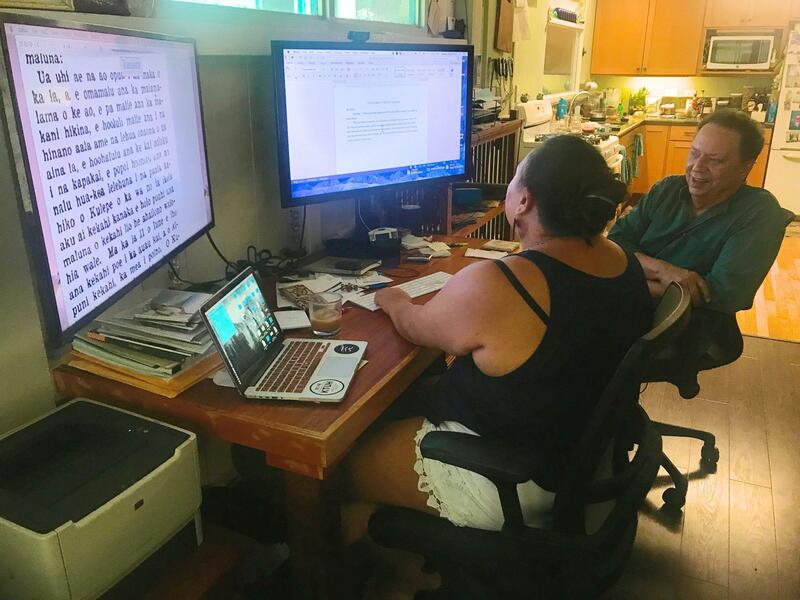 He led a team of graduate students in compiling a digital database of more than 4,000 Hawaiian language newspaper articles related to meteorology and geology. 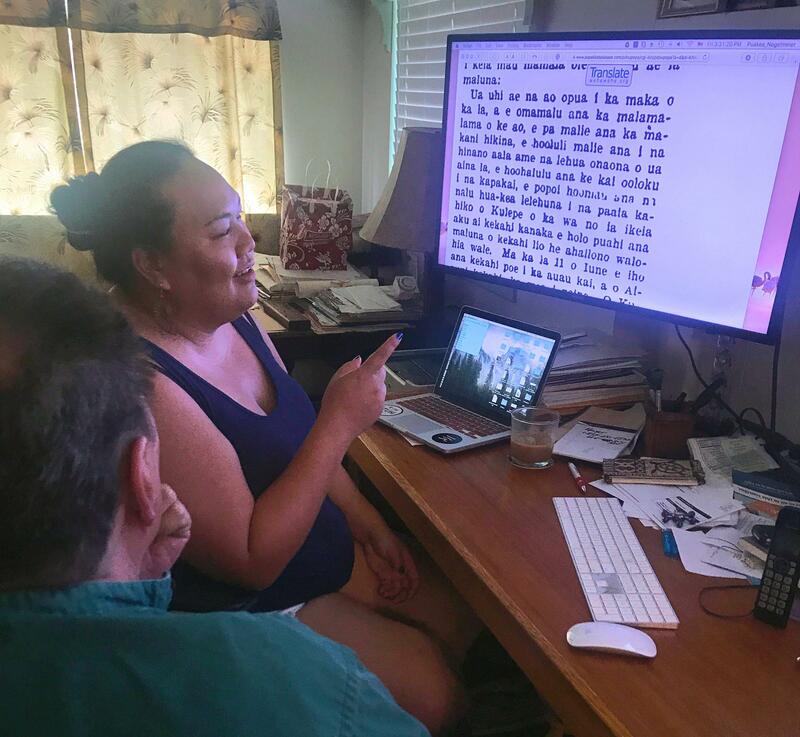 Hawaiian language graduate student Paige Okamura goes over her translation work with Puakea Nogelmeier, Director of the Hawaiian Language Research & Translation Institute. 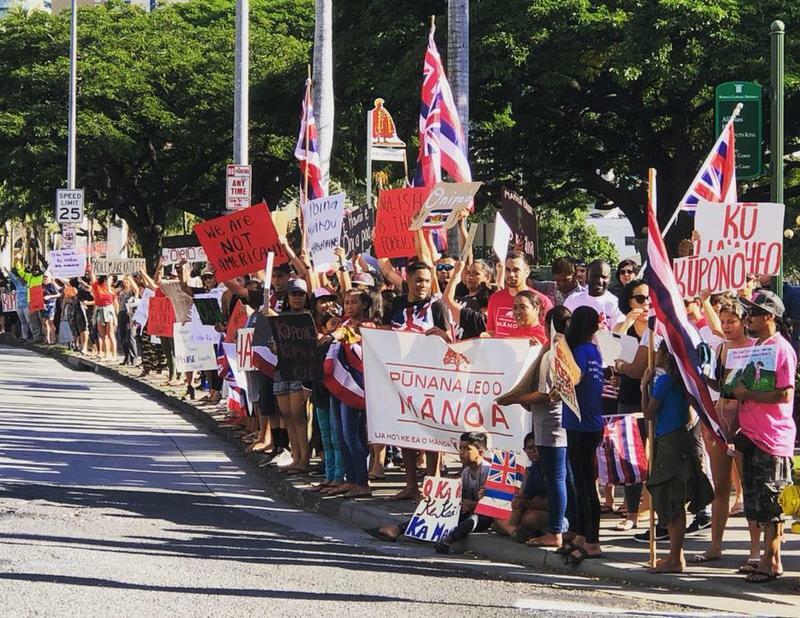 “I've been looking at basically like natural disasters but looking specifically at seismic activities so earthquakes, volcanic eruptions as well as tsunamis,” says Paige Okamura. Okamura is a graduate research assistant with the Institute working on her master’s in Hawaiian Language at UH Mānoa. She and Nogelmeier go over her translation of an article line by line. Nogelmeier and Okamura discuss the intricacies of translating with context instead of purely word-for-word translation. Professor Steven Businger, Chair of the Atmospheric Science Department at the University of Hawai'i at Manoa, was the lead author on a paper published in the Bulletin of the American Meteorological Society on the 1871 Hawai'i hurricane. Fellow Atmospheric Sciences Professor Thomas Schroeder, Education Professor Pauline Chinn, and Nogemeier co-authored the paper. 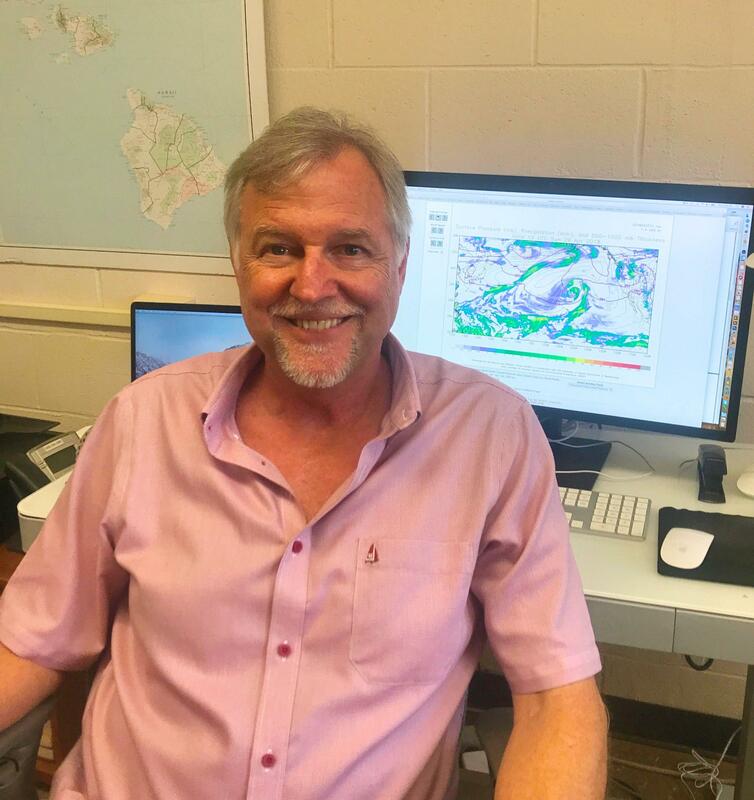 Professor Steven Businger chairs the University of Hawaiʻi at Mānoa’s Atmospheric Sciences Department. He was the lead author on a paper on the 1871 hurricane recently published in the Bulletin of the American Meteorological Society. “To get the details, the blow-by-blow location and time of what happened in this storm, the impact of this storm back in 1871 – before television, before radio...it was just amazing to me,” says Businger. 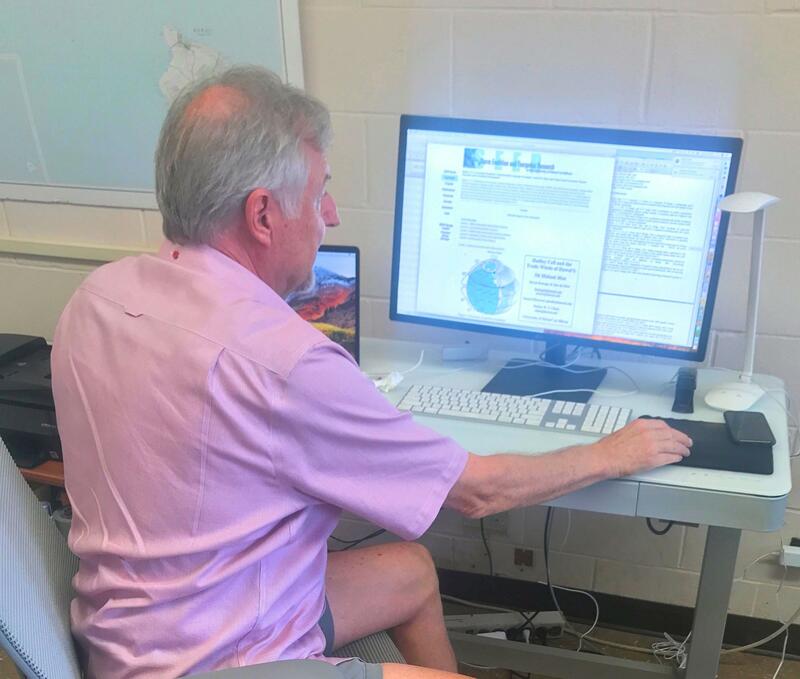 Professor Businger in his office at UH Manoa. He was able to extract scientific data from the citizen science reports translated by students like Okamura. “And you can run the data in a scientific way and say well, in order for winds to be strong enough to knock over these kinds of trees you need X amount of gale force winds,” says Okamura. 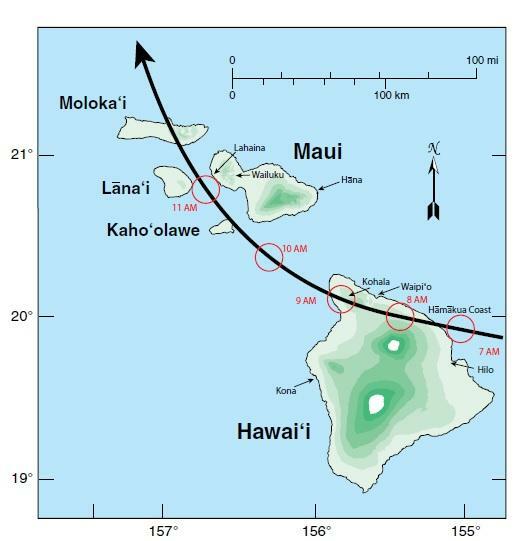 Map showing the reconstructed track of the Hawaii hurricane across the eastern islands of Hawai'i and Maui on August 9, 1871. Labeled red circles indicate the approximate time and location of the core of the storm. “Knowing that this was a category 3 hurricane at least, maybe a category 4 hurricane that made a direct hit on the Big Island and also impacted Maui severely – that was very important information for making decisions about hurricane risk and hurricane insurance,” says Businger. 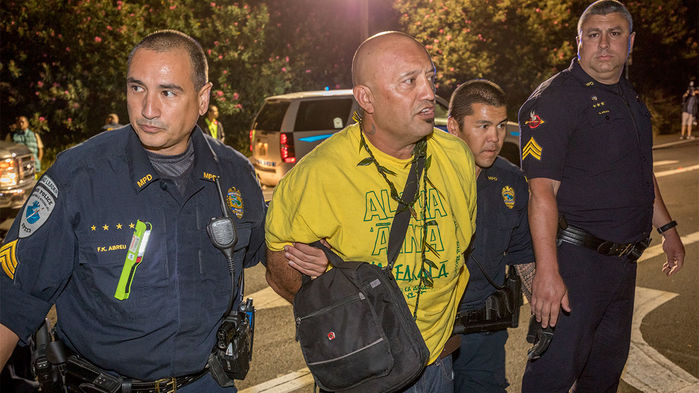 He says there was a general assumption following Hurricane ʻIniki in 1992, that Hawaiʻi and Maui were immune from powerful hurricanes because it had been over a century since one hit. Government officials were considering removing a mandate for hurricane insurance until they came across this research. 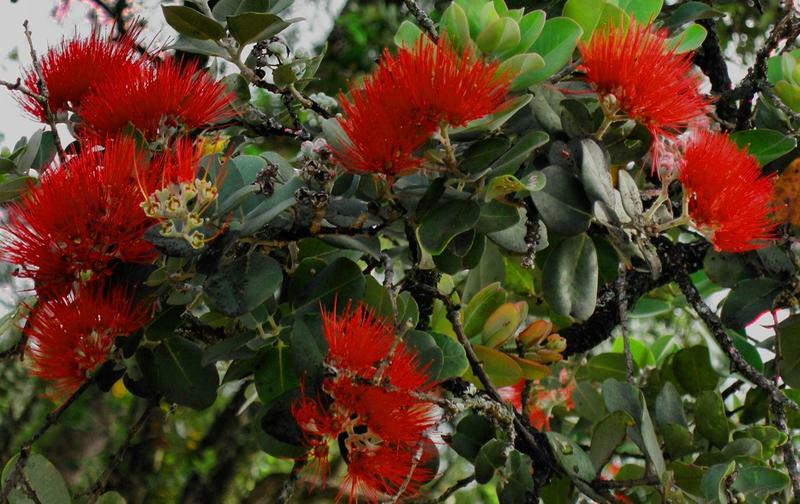 From 1834 to 1948, more than a hundred independent newspapers were printed in Hawaiian. Only a small fraction of that has been translated.